Space fans and nerds rejoice: the official NASA App will expose space in a whole new way. In addition to videos and the latest video streams, you’ll find information about all of the most important missions, satellites and much more. The National Aeronautics and Space Administration, called NASA for short, is by far the most important space organization in the world (no offense, Russia and China). NASA became an iconic symbol during the Cold War, but continues to garner interest from kids and adults alike. NASA may not have done anything sensational since the landing on the moon, but it’s still involved in some interesting projects if you’re a science kind of person. While putting people on Mars may still only be a far-fetched dream, the NASA app allows you to explore what’s happening at the world’s most important space agency. Warning: this app is educational rather than entertaining. Don’t expect to be going on any space missions or coming in contact with extraterrestrials with this app. Missions: Check out all the upcoming launch times in the Launch Schedule. Sight Opportunities lists visible satellites in your area based on your phone’s location. Plus there’s detailed information about all of the NASA projects from A to Z.
NASA IOTD (Image of the Day): A huge selection of NASA pictures that you can share or set as your background. NASA APOD (Astronomy Picture of the Day): Same as the previous category except exclusively outer space photos. And I must say: the pictures are absolutely stunning! NASA TV: Click the Watch Now to tune into NASA programming. The live-stream requires a flash player, but the stream itself was very stable and high quality. 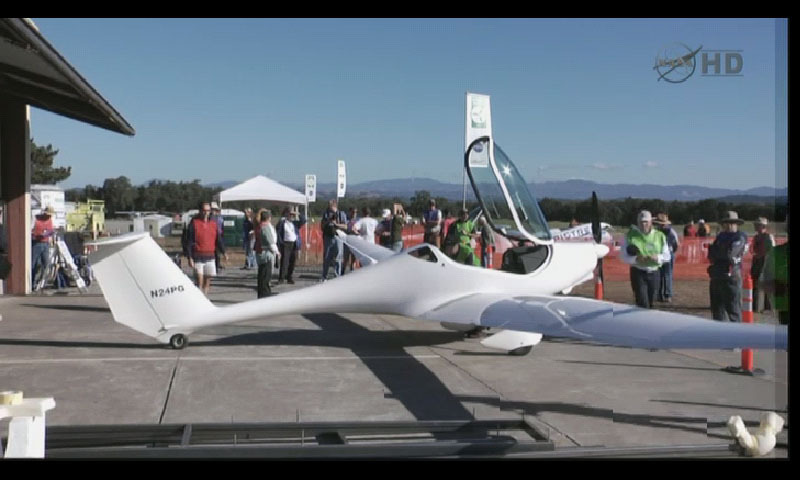 News & Features: The latest on NASA and its research projects. Centers: Displays NASA Centers on Google Maps. 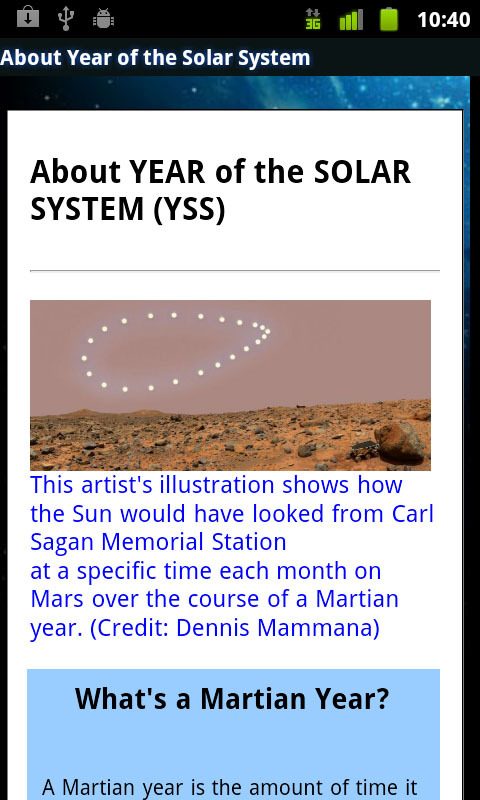 Featured: 2011 is the year of the solar system and here you’ll find a lot interesting information on that subject. If you press menu, you can access Ringtones where you can listen to short audio samples from real NASA mission, which you can then use as your phone’s ringtone. Bottom Line: For those you crazy about space and rockets, NASA App is a wonderful app. It’s very informative and educational, filled with interesting pictures, videos, mission descriptions and research. In this respect, the NASA App is a double-edged sword. The controls are awesome, but the app’s design is not on par with its good usability. Sometimes the icons look blurry and they randomly redirect you to the main menu. If NASA stands at the forefront of what is modern and groundbreaking, they should put a bit more effort into making the app look nice. On the bright side, the video stream quality is quite amazing! Nothing too negative to report: the NASA App runs smoothly the whole way through. 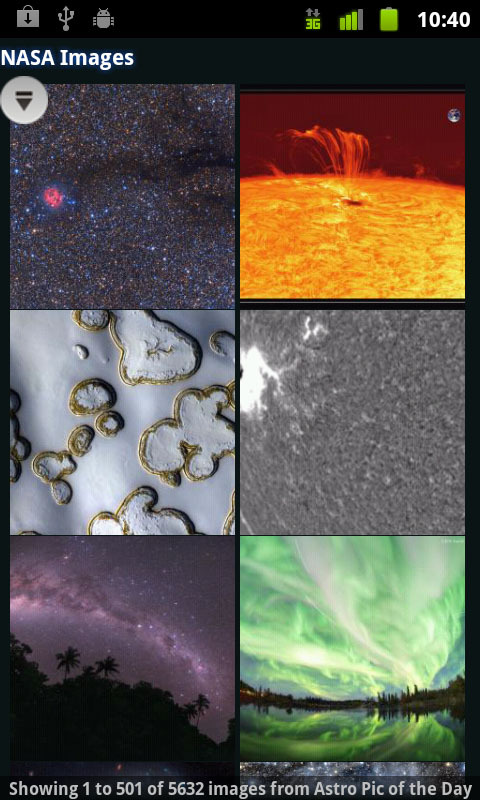 Every now and then, the IOTD and APOD pictures aren’t displayed correctly. 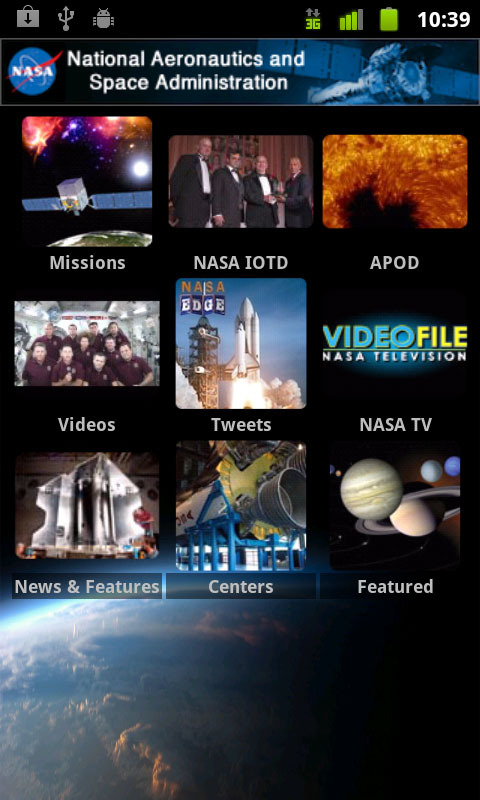 The NASA App is available for free from the Android Market.